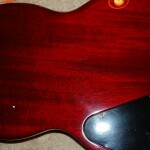 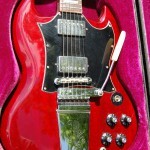 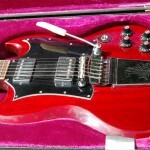 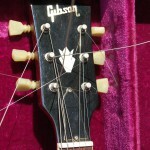 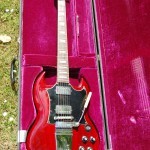 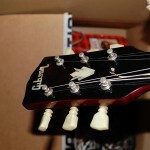 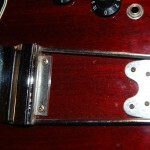 Gibson SG Standard with Maestro 68 | SMP Artizan "Guitar and Amplifier Tech Works"
Lovely 68 Gibson SG.. in need of some care.. she had been kept in a damp environment and the case and fret board had become mouldy.. electrics also needed attention. 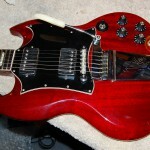 Lovely guitar! 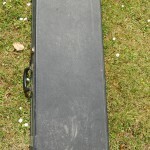 Case covered in mould.. dry now though..
Lovely colour and general good condition! 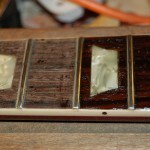 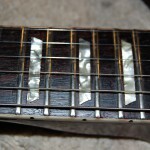 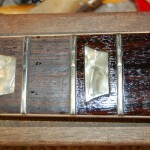 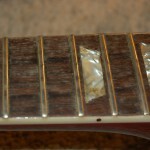 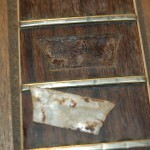 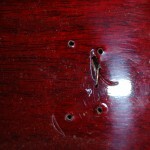 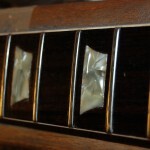 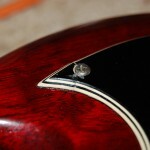 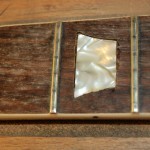 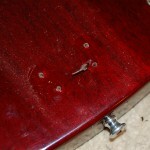 Ooops this inlay needed re gluing..
Great electrics.. all fine after switch clean applied.. but no connection to the trem.. 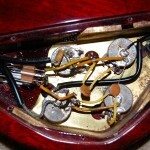 Needed to take the trem off to check connecting wire to contol cavity..